A number of technical colleges/ institutions have been closed down in the last three years because of the wrong policies of the AICTE, experts say. VIJAYAWADA: The Higher Education Commission of India (Repeal of University Grants Commission Act) Bill 2018 has evoked a sharp debate on the necessity of having a common regulator for higher education in the country. The proposal, hanging fire since the UPA era when the National Knowledge Commission was mooted, has had academic circles and experts divided with one arguing that a common regulator would finally end the haphazard and confusing functioning of the multiple regulatory authorities in the higher education sector and the other fearing that it would only end up eroding States’ powers and widen scope for the Centre’s interference. Nonetheless, a majority of academicians and experts TNIE spoke to agreed on one point: the proposed commission has the potential to right the wrongs committed in the course of the tussle between the UGC and the All India Council for Technical Education (AICTE) over the years in the area of technical education. The AICTE’s functioning, in particular, has drawn flak for a variety of reasons, most prominent being the deteriorating quality of technical education and the mushrooming of sub-standard institutions and the subsequent closure of many such across several states. A number of technical colleges/ institutions have been closed down in the last three years because of the wrong policies of the AICTE, experts say, pointing at the conditional approval given to many institutions year on year by the AICTE despite the absence of proper infrastructure and faculty. This policy has more often than not landed students in trouble since the AICTE -- after giving approval has on occasions revoked the same -- for institutions following the latter’s failure to come up with the requisite infrastructure. The question asked often was why should the AICTE give approval in the first place when there was obviously no infrastructure in the institutions to offer technical courses. Having given so, the other question posed, was whether it was not the responsibility of the AICTE to ensure quality education. AICTE was given statutory powers by the AICTE Act of Parliament in 1987 to ensure proper planning and coordinated development of Technical Education System, qualitative improvement of such education in relation to the planned quantitative growth and the Regulation and proper maintenance of norms and standards. But over the years, the AICTE has given approvals left, right and centre and then, began revoking approvals. The result is that since 2014-15, there has been a drastic fall in the number of technical institutions and the total intake capacity (sanctioned strength) and also enrolment of students. In the last three years, the total intake capacity has gone down by 4,08,904 i.e. about one lakh thirty six thousand students per year, while the enrolment is just about 50 per cent of the approved intake capacity. Besides this, the constant tug of war between the University Grants Commission (UGC) and the AICTE over their powers has had an adverse impact. The war started in 2013 between AICTE and the UGC on offering MBA course. In a blow to the AICTE, the Supreme Court had clarified that MBA was not a technical course and colleges affiliated to a university do not come under the purview of the definition of a technical institution under the AICTE Act. This is just one example of the kind of turf war taking place between the two regulators. In fact, later, the AICTE has issued notices to Deemed to be Universities -- which fall under category-I autonomous institutions as per the UGC, over offering courses in distance mode. This, several experts opined, was in direct violation of the Centre’s decision to grant autonomous status to 52 Universities -- five central, 21 state, 11 deemed and two private. 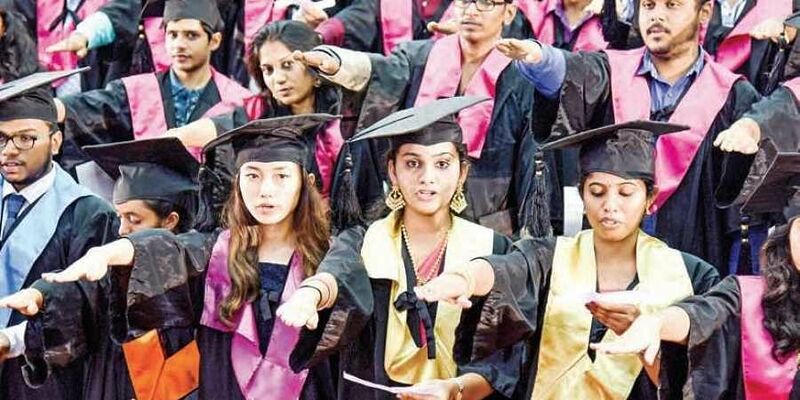 HRD Minister Prakash Javadekar had clarified that these universities would remain within the UGC ambit but will have freedom to start new courses, off campus centres, skill development courses, open research parks and roll out new academic programmes. In fact, the Minister had also said they would have the freedom to hire foreign faculty, enrol foreign students, give incentive-based emoluments to the faculty, enter into academic collaborations and run open distance learning programmes. However, the AICTE ignored this and went ahead slapping notices throwing students and these institutions into confusion over whether the UGC guidelines apply or the AICTE diktat runs. The institutions have now approached the Delhi High Court to sort out the issue. For no fault of theirs, these institutions and their students are put in a spot of bother. However, the silver lining for them is the new HECI Bill, say experts. It was expected to be tabled in the Monsoon Session of Parliament and even if not, it could be a reality sooner than later. Once it is passed, the new Higher Education Commission would replace the UGC, and AICTE and be the single source of approvals becoming the only regulator in the higher education sector. Experts reason that it would be a gamechanger by removing confusion created by the antics of the AICTE and lay down standards to ensure quality education. In fact, policy analysts and experts have been advocating replacement of AICTE and UGC with a more efficient regime for a long time. In addition to this, the AICTE has also been guilty of not taking States’ needs and views into consideration. For example, the Telangana Government in its perspective plan for 2018-19 has advised the AICTE to stop issuing conditional approvals and take the State’s need for engineers in different streams and skilled hands in several vocational streams into consideration instead of giving a plethora of approvals for institutions offering a few courses like Electronics alone. Given the complaints piling up and the confusion being created weakening the higher education system in the country, experts are optimistic that the Central government would push through the Higher Education Commission Bill sooner than later and the nightmares of AICTE would soon be a thing of past, likely in the next few months.